The cash reward offered by the Professional Numismatics Guild has now grown to $159,250 for information leading to the arrest and conviction of the thief or thieves who recently stole coins from Julian Leidman of Silver Spring, Maryland. 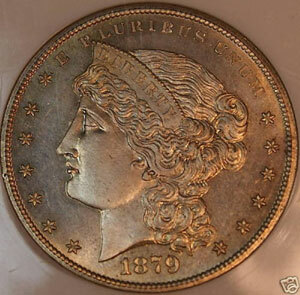 The theft occurred on Sunday, October 11, 2009, as Leidman was returning from a coin show in Stamford, Connecticut. His entire inventory of over 1,000 coins as well as currency ranging from Colonial era to small size notes was stolen when his minivan was broken into during a stop in Pine Brook, New Jersey. Two bags of clothing and Leidman’s laptop computer also were taken when the thief or thieves smashed a passenger window to remove three heavy bags of coins and paper money from his minivan. “The PNG has a long history of offering rewards to help catch thieves of numismatic property. Any theft of coins or bank notes affects the entire hobby and profession in one way or another. We must be vigilant in our security to prevent theft, but we must also come together to assist in the apprehension of criminals,” said Robert Brueggeman, PNG Executive Director.